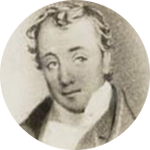 Asteron is the oldest life insurance company in Australia and wrote their first life insurance policy in 1833, and shortly thereafter paid their first claim. They combine their extensive 175+ years of experience and knowledge in order to make insurance more accessible and easy to understand, giving customers the confidence to live life, knowing they’re protected. Their focus is on preventing ill health through Asteron Healthy Life Discounts. They encourage members to lead healthier lives by providing them with immediate benefits, such as premium discounts. Now known as Asteron Life, reinforcing their vision that life should be celebrated. Asteron Life insurance and the Asteron income protection covers generally provide good value and have a number of unique built in benefits such as free child cover under their life cover benefit as part of their Life Complete product. They also offer a range of insurance, superannuation and savings products, however has ceased offering new group life insurance policies. They’ve been given an A+ (Strong) insurer financial strength rating with a Stable outlook by Standard’s and Poor’s (as of July 2016). With such a good rating and the support of their parent company, Suncorp Group Limited, Asteron Life inspires trust. In 2014, the Suncorp Group paid over $309 Million in Claims. The oldest life insurnace company in Australia - providing life insurance since 1833. Asteron, is part of the Suncorp Group - a top 15 ASX Company - with assets worth over $94 Billion AUD. Who owns Asteron Life Limited? When did Suncorp take over Asteron? How long has Asteron been operating for? How do I qualify for the Asteron Healthy Discount Options? Is Needlestick cover built into Income Protection? What happens to my policy now that Asteron has been sold to TAL? 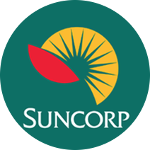 Suncorp was launched in 1996, when two Queensland Government owned businesses merged; Suncorp Insurance & Finance and QIDC, with ASX Listed Metway Bank. Suncorp Group Limited is a Top 25 ASX listed company, specialising in finance, insurance, and banking. The group has 9 million customers and $94 billion in assets and employs over 13,500 people. In 2007 Suncorp merged with the Promina Group, bringing together two successful financial services groups, lifting their total assets at the time to $84.9 billion across Australia and New Zealand. In 2014, Asteron paid claims to almost 3,574 policy holders. The Suncorp Group that Asteron is a part of, serves 9 million customers. Asteron has a reinsurance treaty agreement with Munich RE and a facultive agreement with RGA. Asteron Life can assesses 80% of claims within 24 hours and in 2011 paid more than $248 million in claims to around 3,200 customers. In 2014 that number increased to more than $309 million in total claims paid out to 3,574 customers. They have a treaty reinsurance agreement with Munich Re, a risk management group with exceptional financial strength. In 2008 Asteron incorporated Munich Re’s Affinanz solution. This solution does away with paper forms, using comprehensive automation to improve company-wide productivity. Productivity gains were over $2 million, a 10 to 15 percent improvement in the company’s core function. They also have access to a second reinsurer, RGA, whom they have a facultative arrangement with. Alliance Assurance establishes Australia operations and issues first policy to Joseph Tice Gellibrand. First claim is paid out by Alliance Assurance. Sun Life merges with Alliance Australia to form Sun Alliance. 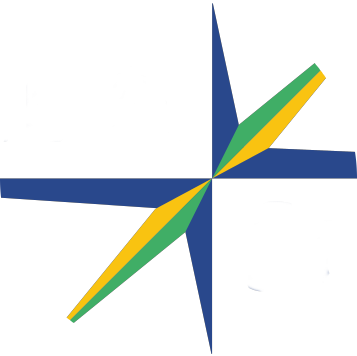 Sun Alliance and Royal Insurance merge to form Royal & Sun Alliance. The Promina Group is formed after Royal & Sun Alliance divest Australia and New Zealand operations. Royal & Sun Alliance is rebranded to Asteron. The Promina Group is taken over by Suncorp Metway and Asteron becomes a part of the Suncorp Group. Asteron celebrates 175 years in Australia. 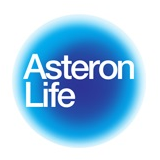 Asteron rebrands as Asteron Life. Asteron is a life insurance specialist in Australia and New Zealand and is part of the Suncorp Group. Their products are designed to focus on the positive benefits life insurance provides customers, giving them freedom from the challenges life might throw at them. 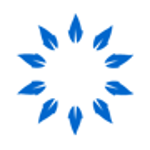 As of 28 February 2019, Asteron life was sold by Suncorp Group Limited to TAL Dai-chi Life Australia (TAL). TAL will continue to manage current Asteron life policies and will also be able to sell life insurance through Suncorp’s distribution network. Royal and Sun Alliance merged and renamed the company Asteron Life Limited in 2004. In March 2007 Asteron became part of Suncorp, a leading Australian insurance company. Asteron life is the oldest life insurance specialist in Australia, with over 175 years’. The Asteron Healthy Life discount offers you up to 20% off your initial Life Cover. There are two discount options available to you. Healthy Life Option: Provides you a 10% discount off premiums. You must be between 29 and 49 years of age and have a Body Mass Index (BMI) of 28 or below, as well as normal blood pressure and cholesterol to qualify for this option. Healthy Plus Option: In order to qualify for the 20% premium discount you need adhere to the same criteria as the Health Life Option above and have a minimum sum insured of $250,000. A blood tests and QuickCeck will also be required. Only when your occupational class is MP (Medical Professional) and you’re an established professional will Asteron’s Income Protection provide you with the free needlestick benefit provides up to 50 times your monthly benefit if you are diagnosed with occupationally acquired HIV, Hepatitis B or C. This benefit is subject to a maximum payment of $1,000,000 per life across all Asteron Life Complete policies. Suncorp Limited has sold its Australian life business to TAL Dai-Ichi Life. The sale was completed on the 28th of February 2019. TAL will maintain the Asteron brand, and current policies will remain unchanged. The only real difference is that Asteron Life customers will be contacting TAL to change or cancel their policy, instead of Asteron Life. As part of the insurance sale, Suncorp has signed a 20-year agreement allowing TAL to sell its life insurance products through Suncorp’s distribution network, including its digital channels, contact centres and stores. The sale is due primarily to Suncorp wanting to simplify their business model and TAL expanding its market-leading presence in Australia by enhancing their scale and capabilities across retail, group and direct segments. TAL is said to be committed to offering excellent value to current Asteron Life policyholders, striving to deliver superior customer service. If you’d like to know more about Asteron Life insurance, Asteron income protection or their Life Complete product cover range, ask one of our consultants for assistance and they’ll get right back to you. Alternatively, feel free to use our comparison engine and decide for yourself. Appauling service by Asteron Life! I was approved for Life & TPD Insurance as well as Income Protection so I was considering if I wanted to go ahead with their offer. Before I even made the decision and before I received the underwriting notes in the mail to confirm everything was correct, Asteron Life had taken the annual fee from my super account without my consent! I hadn't even provided Asteron with my TFN or super details so how did they steal my super money? Be wary before you go ahead as there are no security measures in place. I am still waiting on my super money to be returned and it's been a week (they advised it would be 2 business days). Thanks for making my decision an easy one, Asteron. I will not be doing business with you. It took a bit longer that I expected but overall experience is not bad. They were able to help us and a very competitive price. They were prompt and professional to deal with. As i've only just received this cover i cannot comment really. So far no issues apart from being denied income protection and tpd cover due to some medical issues. Excellent features and extra covers with added peace of mind. Full security for me and my family and I proudly recommend AsteronLife to my friends and colleagues. Happy that I am being treated as a family member always as and when I have a question. I love the support team. Been receiving TPD benefits since 2003. Now an email saying they’ve overpaid me $24,000 and want it back! I’m aware that TAL is taking over Asteron. What can I do? TPD payments are generally made as a lump sum. If you’re receiving monthly benefits, please check if you might not be referring to income protection. However, in either case, it is worthwhile seeking legal advice.